Rails Girls is a non-profit organization that helps and empowers women by organizing free workshops that provide tools, resources, and support for women interested in Ruby on Rails. The organization’s goal is to create a community for women who want to learn Ruby on Rails by providing a great experience that makes the technology more approachable. On December 10th and December 11th, Toptal is proud to partner with Rails Girls and sponsor their 7th workshop in Belgrade, Serbia. The event will take place at My work. The workshop is free, so if you want to join please RSVP here before December 3rd. 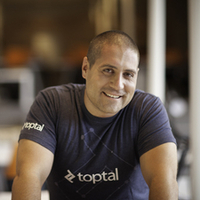 Predrag Gajic from Toptal will be at the workshop, so if you want to find out more about freelancing and Toptal, join him for this exciting workshop. Your message to Predrag was sent.